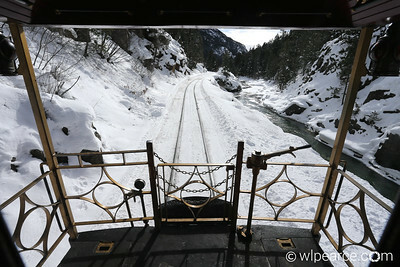 A winter ride with the D&SNGRR. Temp was in the single digits, following winter storm Goliath, Christmas day 2015. 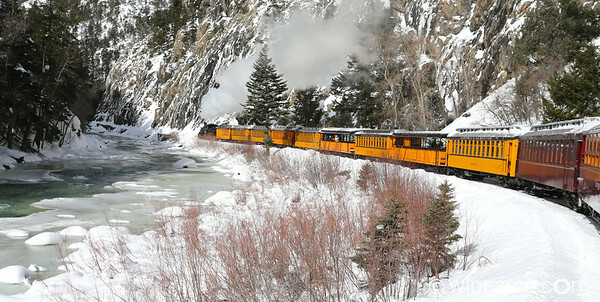 D&SNGRR 481 Polar Express. Mikado K-36 2-8-2. Built in 1925 by the Baldwin Locomotive Works. 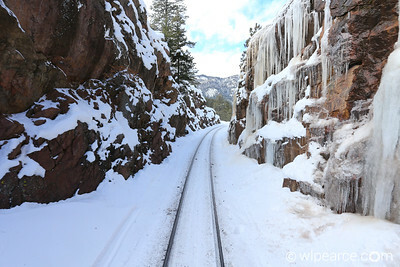 At Cascade Canyon after the big Christmas winter storm 2015. 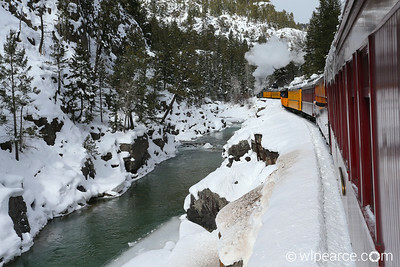 The Polar Express traversing the gorge on the way to Cascade Valley. 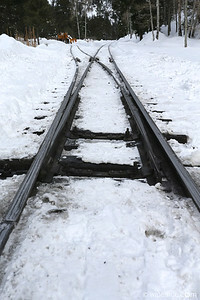 Clearance is as low as 8" on some portions of the line. Watch your arms, cameras, head, etc.! 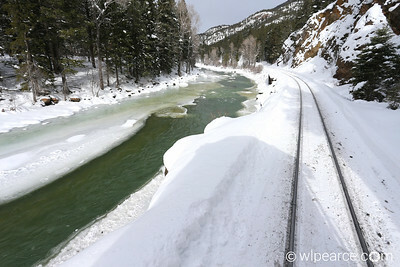 Crossing the Animus river on snow covered trestle. 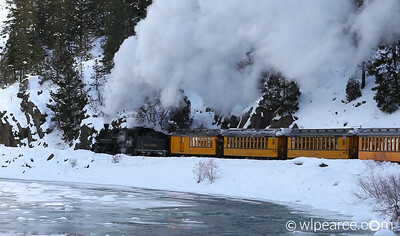 The Polar Express chugging along the river on a sweeping turn. Anyone for a rafting trip? The line snakes its way along the Animus. 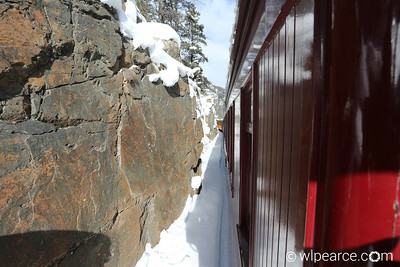 From the back of the Pullman "Cinco" (best car in the train). 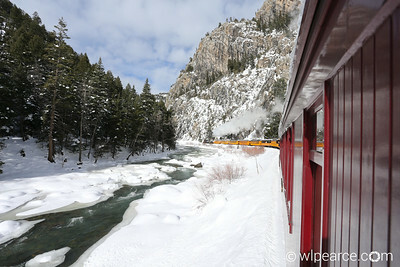 Majestic mountains line the Animus Valley on the way to the Cascade Canyon Wye. 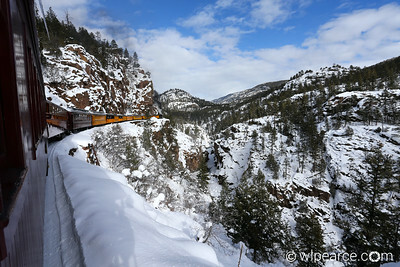 Silly railfan pics. Sorry. 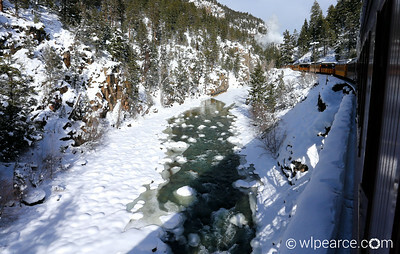 The Wye at Cascade Canyon where the train makes its reversal for the trip back to Durango. That's a frog for the uninitiated... and a cold one at that. 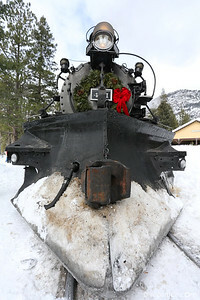 D&SNGRR 481 Polar Express. Mikado K-36 2-8-2. 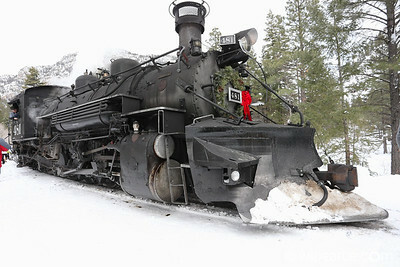 Built in 1925 by the Baldwin Locomotive Works. Looking back at the cold opal waters of the Animus river. 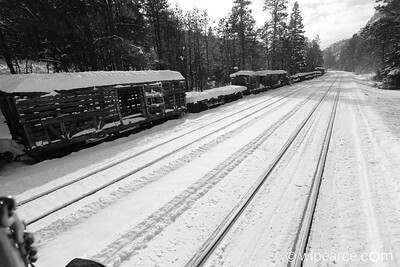 Some original Rio Grande cattle cars on the siding.